Video could not be displayed. Your Browser doesn't support the Video tag. You can still view the video on YouTube. For nearly 200 years our valley campus has kindled an ideal environment to ignite potential and change lives. We give students an uncommon set of top-ranked programs. Mix and match courses in the sciences and engineering, in the arts, in psychology, performing arts and business to tailor your education to your aspirations and develop the skills you need to succeed. Here, innovation and technology meet wilderness trails and Baja buggy challenges. The people, the town, the hills and sunset views, the lush summers and crystal winters contribute to the magic of this place – a place alive with a can-do attitude we all share and carry into the world wherever we go. This place makes us who we always wanted to be. 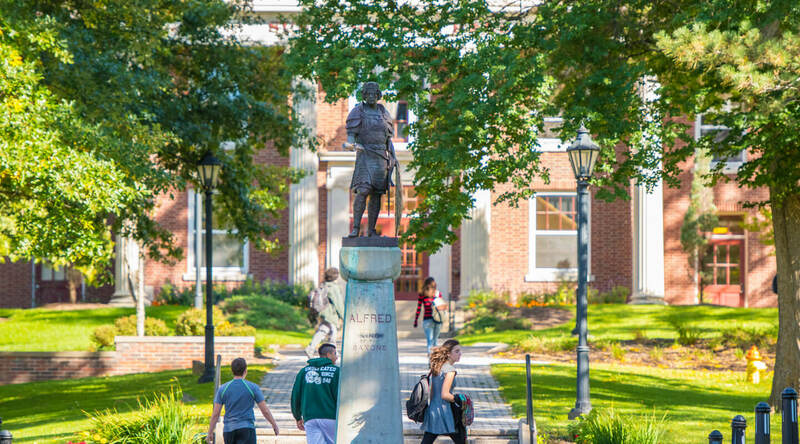 Alfred University. Outside of Ordinary. What do Tesla, the Navy Seals, Apple and Meals on Wheels have in common? Alfred University graduates work there, among other crazy smart companies. Where we are is part of who you will become. Ingenuity grows wild here. There's literally more room for invention. Mix and match an uncommon set of top-ranked programs. We're big believers in driving your own academic adventure. 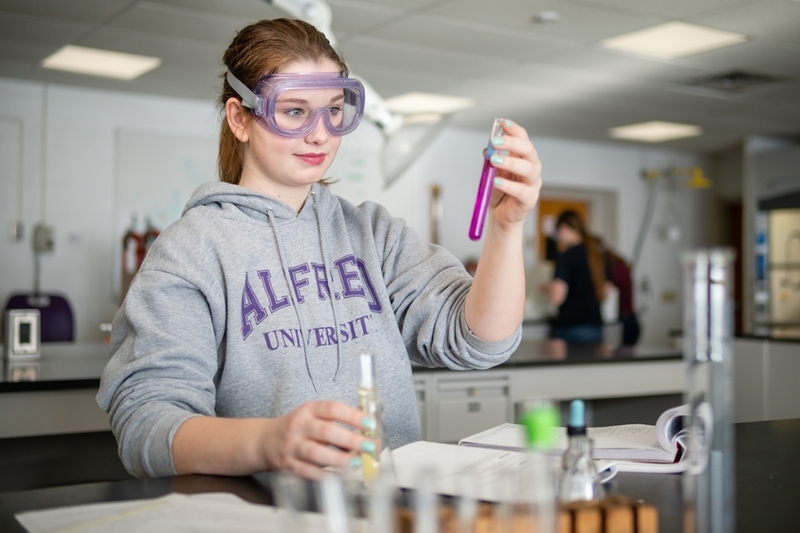 We are committed to making a world-class Alfred University education accessible to everyone. 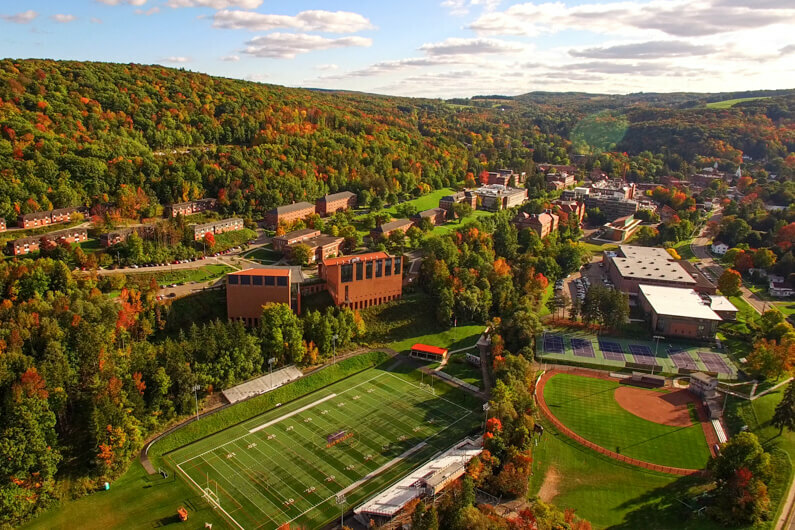 The beautiful Alfred University campus sits on the edge of a hill with 232 gorgeous acres plus another 400 acres nearby. Visit Alfred today and see that we're the right fit for you. Our APEX (Applied & Experiential Learning) program makes sure every student has the opportunity to learn through experiences. "Reaching out to the advisors at Alfred University was one of the best decisions for my career I have ever made. I now have a great plan and a clear path to my future with all the help I could ever ask for." 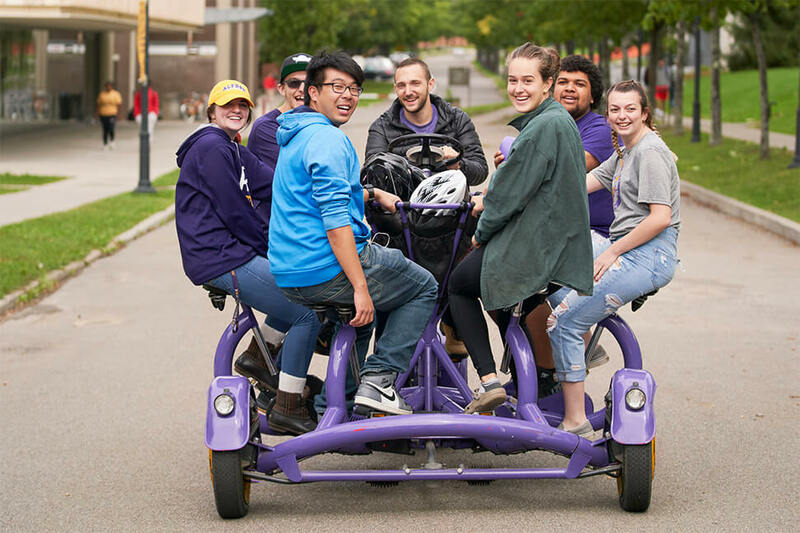 Life at Alfred University is far from ordinary. See what we have to offer. Whether you want to be an artist or engineer, accountant or CEO, mathematician or scientist, teacher or athletic trainer, we offer 40 majors and over 50 minors to put you on your path. We help you prepare for graduate or professional school, the workforce and the world. Be a Saxon.